During this stage, children experience very important changes in regards to their mental structure as language and movement are in development. At our schools we seek for our pupils to act effectively in diverse situations, implementing competences, skills and abilities to successfully develop their physical, social and emotional abilities. Self awareness and formation in coexistence and leadership. Their physical and social environment. Communication, reasoning and artistic awareness. 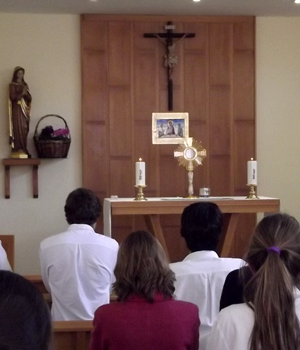 During this stage we see the pupil as an active protagonist in their own learning process, constantly questioning the enigmas of life, curious to discover the truth, with minds and hearts open to guidance from their teacher: a person open to coexistence with fellow pupils and whose soul is devotedly willing to know and love God. This accumulation of skills and competences aim to give each and every one of our pupils the strength to face the challenges of an increasingly globalised world. We seek for our pupils to be critical, analytical and self-sufficient but, above all, to be aware of their reality and their opportunities as Christian leaders, able to apply universal principles and values. During this stage, the focus is placed on the development of a sound mental structure, the transmission of extensive cultural, humanist and scientific knowledge and intensive English language study. Preparation for Cambridge and Delf examinations. Introduction of a second foreign language: French as an optional subject. Computer science and classical culture as optional subjects. Tutorial action aimed at the personal enrichment of the pupil. Emphasis on the richness of the Catholic faith and reasoned knowledge of its doctrine. Preparation for the Sacrament of Confirmation. Social participation program to complement their integral formation. 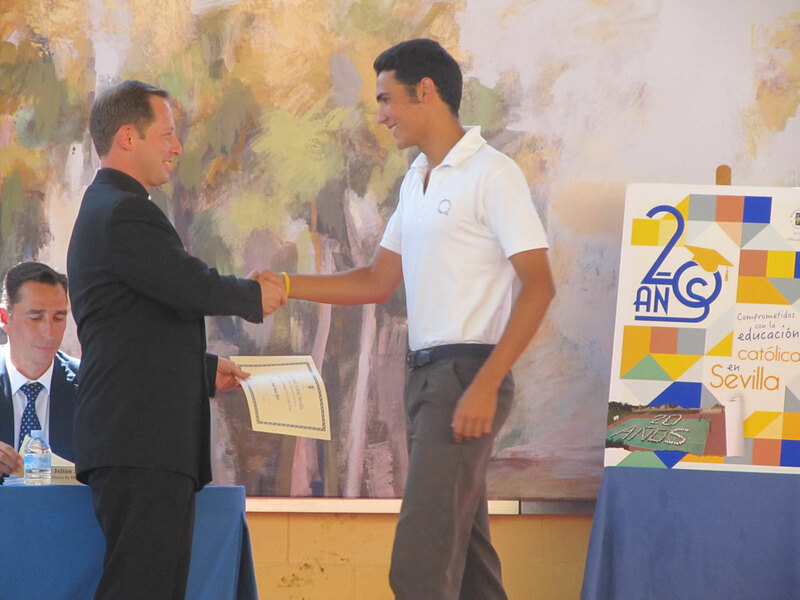 Higher Secondary is geared towards the needs of our pupils, both academic and those of a human or spiritual nature. The culture of work and effort is fostered. The virtues of constancy and willpower are enhanced. All of which serve as effective mediums through which we are attaining top results in our University Entrance Exams ahead of the other schools in Seville. APB Programme (Pre-University Assessment Programme). Humanities and Social Sciences: the range of study encompasses subjects related to the human nature and the empirical mathematical skills that are necessary are covered by the social science subjects. Sciences: the range of study encompasses subjects related to Health science and Technical science. We provide preparation for the Cambridge First certificate and Advanced Examinations, tests for the Official School of Languages and the accredited Delf French examinations. An international programme of pedagogical innovation for primary education that fundamentally consists of approaching the learning process from a different direction. We do not change the content but we do change the way that content is taught. Harmonious balance is sought between the four formation areas (human, spiritual, intellectual and apostolic) in the belief that any action by our pupils involves all of these areas to one extent or another. Furthermore, a range of specific formative resources has been developed that are all interconnected: Programme of Catholic Formation, Formation in Virtues, Social Participation and Formation for Love. We seek to prepare young people who are ready for life, capable of performing effectively in any situation. To that end, it is necessary to develop the skills and attitudes in children that they will need to perform both personally and socially, as well as the learning of knowledge. This is what we call “skill-based working”. In this regard, the SUNRISE Method perfectly encompasses and goes beyond the idea of skills established by the current Spanish Constitutional Law on Education (LOE). The LOE defines the ‘what’ while the SUNRISE Method explains the ‘how’. Learning to learn. The teacher takes part in the formation of pupils as a mediator and facilitator, providing pupils with the tools they need for self-learning. Pupils become the active protagonists of their own learning experience. These are specific and virtual tools that seek to provide enriching learning experiences through a range of spaces and methods. 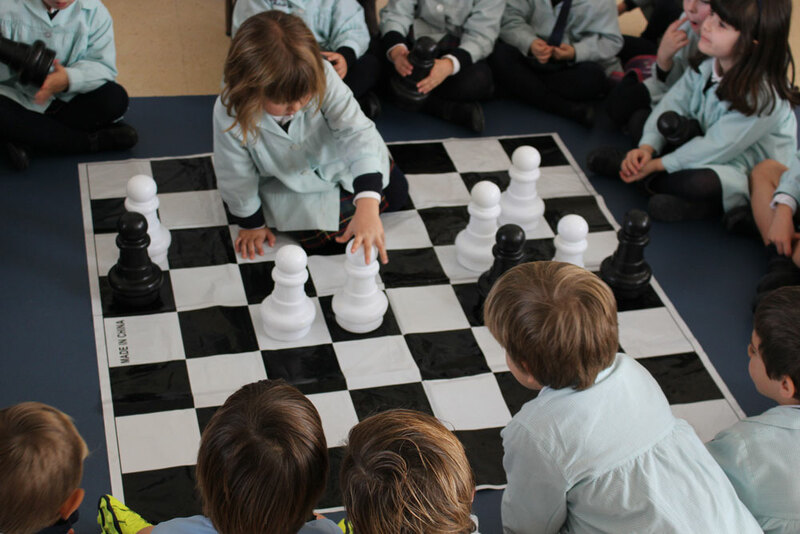 The learning method for these tools is based on discovery, exploration, experimentation and play, thus encouraging initiative, curiosity and active effort among pupils. We seek to help each pupil experience a personal encounter with Jesus Christ, the love and security He conveys, and to help them discover the Church as both Mother and Teacher. To that end, the celebration of the Eucharist and Confession play a central role in our approach. We seek to inspire a love of God in their hearts. We work to shape them into mature and free-thinking individuals. This is why WE PLACE EMPHASIS on the formation of character and willpower. We promote the culture of HUMAN VIRTUES as a means for personal improvement. Discipline and physical education become ideal channels through which to shape character and instil values which include respect, strength, perseverance and teamwork. We seek to forge integral people. Our wish is for pupils to live a life of commitment to social transformation according to the principles of The Gospel. Therefore, they take part in social projects that foster social awareness that ensure that they value the social, family and economic situation in which they live. Our goal is for them to give the best of themselves. Discipline consists of encouraging pupils to discover the reasons and values that lie behind our rules and not simply view them as the imposition of regulations. We believe in education through self-conviction with respect for others as this guides the capacity of reason and willpower in the pupil. This approach is what is known as formative discipline and seeks not so much to correct, but rather to steer the pupil towards self-correction thus discovering the true process of learning. We seek to form people with scruples. We believe in the importance of language as a fundamental vehicle for PERSONAL INTEGRATION within a multicultural environment. This is why we follow an English Immersion programme for Preschool and Primary Education (an age range in which children have the greatest ability for language acquisition) where our students receive 50% of the curriculum in English and 50% in Spanish. As an option, our pupils can also choose to study French, as their third language, when they are in Secondary school. 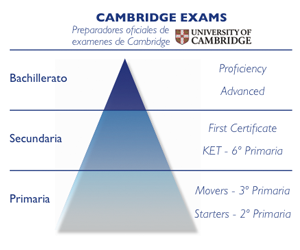 We are an accredited Cambridge examination centre and pupils have the opportunity to obtain the most widely recognised English language certificates, such as the First Certificate in English (FCE), the Certificate in Advanced English (CAE), the Official School of Languages and the DELF French examinations certificates. Our model places special emphasis on the need to educate our pupils in public speaking skills. 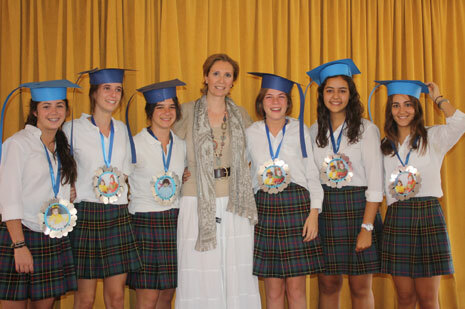 E The school is currently ranked 6th in regards to grades received by our students in the official university entrance exams, having achieved 1st place in Seville in June 2010. Above all, this is composed of the development of abilities, standards and skills; education on the appropriate use of reason; on the ability to reach fair and balanced judgements; encouraging the ability to analyze, synthesize and relate; and to foster a curiosity to learn about real life and Truth. Our pupils thus acquire a clear and sound mental structure based on fundamental principles and values that form a part of their conscience. Nowadays, differentiated education is an avant-garde characteristic of the best educational models. Based on an approach whereby the educational objectives and content are the same for both boys and girls, differentiated education is an academic system that adopts a teaching style adapted to each gender to thus make the most of their different qualities and pace of maturity in order to guarantee true equal opportunity. Personalized education considers each person as an individual soul. At our school, the teachers work with the differences that define each pupil: their psychology, their qualities, their limitations, their previous formation, their family and social environment and their personal history. We constantly focus on and cater to diversity, through the use of various mediums, activities and follow-up support systems; and with the help of Head teachers, the Personal Guidance department together with remedial teachers, the complete and absolute dedication of the teaching staff in general and specific workshops geared toward providing relevant support for homogeneous groups at each stage throughout their education. Our school also offers an Instrumental Enrichment workshop dedicated to our top performing pupils. Effective and useful study techniques are taught to pupils from Primary school level and up. We also conduct an ongoing externally administered psychological evaluation (E.O.S) of our pupils throughout their school years, starting from the age of 5. The personalized guidance of our pupils involves not only the teaching staff, but also extends to the Deans of Students, family tutors, prefects and chaplains, all of whom help each child feel special and loved. All of this is undertaken in close collaboration with the family and the Psycho pedagogy Department. world: 154 schools in 17 countries and 35 Mano Amiga (Helping Hand) schools for underprivileged children in 9 countries. The Mano Amiga schools arose from the need to support the development of poorer communities through the education of their children and young people. 13 universities in the USA, Mexico, Chile, Italy and Spain.